4. Place all together in an evelop, deposit in Dr. Krawitz's mailbox beside Psychology Office in Cornett Building A236. 5. Your application will be evaluated and you will be informed if you are accepted into the international Psi Chi Honor Society in Psychology via email by March, 2019. * If you have submitted the paperwork to become a psychology major or minor but have not yet been officially declared a psychology major or minor, please note this on your Psi Chi application; if you meet the other criteria then you will be accepted pending completion of the declaration process. Not quite eligible for International Membership yet? 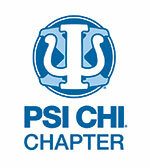 If you are interested in being involved with the planning and execution of Psi Chi events and fundraising initiatives, but you're still working towards your eligibility requirements, you are welcome to attend meetings, help at events, and find out more about ways to become eligible and involved. Interested in joining our executive team? Come to our weekly meetings and meet the members: Tuesdays at 2:30 PM in Cornett B107. Shadowing will begin March 2019. 2019-2020 Executives will be voted in March 2019.